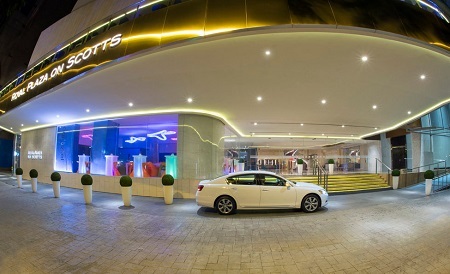 Escape to a sophisticated sanctuary of modern style at the Royal Plaza on Scotts in central Singapore. This five-star hotel features an airy and elegant lobby, attractively furnished rooms and suites, and the gastronomic pleasures of the award-winning restaurant Carousel. The warm, friendly staff provides impeccable service, ensuring that business travelers and leisure travelers alike enjoy an indulgently rewarding stay. The Royal Plaza on Scotts sits near the heart of Singapore’s celebrated Orchard Road shopping and entertainment district. Guests are just steps away from a plethora of upscale shops as well as top-notch restaurants and exciting entertainment venues. 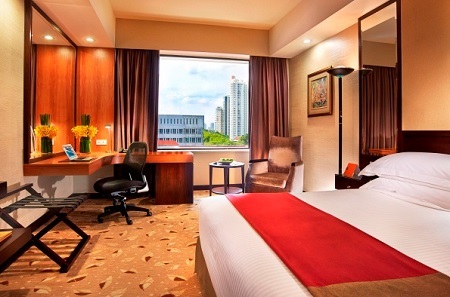 The hotel is also convenient to public transportation, making it an ideal base for exploring other areas of Singapore. The Royal Plaza on Scotts is home to one of Singapore’s most popular dining spots: Carousel. This buffet-style restaurant offers a great variety of fresh seafood as well as mouth-watering Asian, Mediterranean, and Indian dishes. 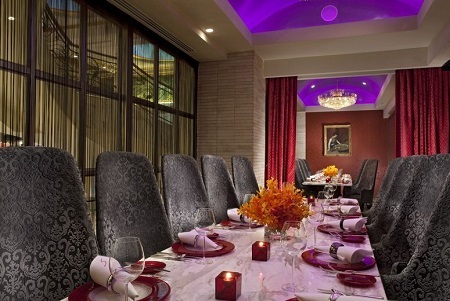 Each of the 500+ rooms and suites at Royal Plaza on Scotts is a private haven of style, luxury, and comfort. Guests enjoy amenities such as large work desks, relaxing rain showers, Dream Beds, and premier bedding. Offer is based on single or double occupancy in a Superior King Room accommodations. Superior King Room: Feel at home in our 32m2 Superior room as you take a relaxing rain-shower, treat yourself to complimentary in-room mini-bar replenished daily and stay connected with free high-speed WIFI for multiple devices. Stay for a minimum 1 Night and up to 7 Nights as desired and based on availability.